Old Pantone TPX Edition had 2100 Colors. 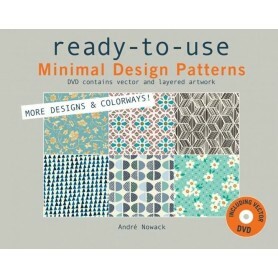 Total 2 Guides Included in this Package: Part1 & Part 2 incl 210 Additional Colors. The New Pantone Color Guide for Fashion, Home & Interiors will be available for ready dispatch in India on 21st November, 2017. This updated edition of Fashion & Home Color guide has 210 new colors, which is the latest edition for 2018. The Guide has all colors split into 2 for better usage. 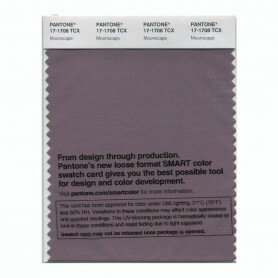 This product is imported from Pantone Llc, USA and has the Color Manager software included in it. Pantone TPG Colour Guide is widely used in Home Furnishing, Architecture, Textile Color Matching, Furniture and is the best alternative to expensive TCX products. Buy Pantone Color Guide & Pantone FHIP Colour Guide, now with a special offer price. Assuring the lowest and best price in India. The New TPG Color Guide updated from FHIP100 [older Edition] is now released with 210 new colours of Fashion + Home + Interiors. The TPG Colors are more eco-friendly than the previous Pantone TPX Color Guide version. The Pantone Colour Guide is used for color matching and the first print is available for true colors and complete accuracy. 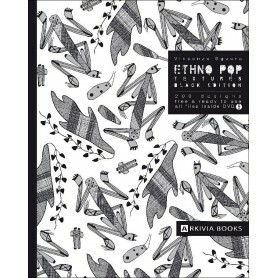 All Colors are printed on paper and each page has 7 Colours of size width 4.2cm and length 2cm. Each strip in the Pantone Color Guide Fan is of total length 23.2cm. The index and color numbers of the previous edition have not changed. Only new colors have been added. The Guide is in a Fan format which can be opened and displayed easily. However, care must be taken to not use oily handy to prevent fading of colors. Pantone TPG is a subcategory of the Pantone Fashion, Home & Interiors, wherein TPG stands for Textile Paper - Green. This subcategory falls in the FHIP category of Pantone Fashion Home Interiors Color Guide. This subcategory offers colours for both, paper as well as fabric. The ‘Green’ in TPG denotes the latest change in the FHIP line, wherein the lead and chromium content of the TPX products have been removed to create a safe and environment-friendly product. The Pantone Color Guide is offered in a portable fan deck. Designed in a two-volume set for ease of use, each of the volumes comprises of 7 colours per page. 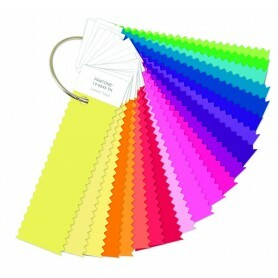 Each colour is showcased via 1.6” x 0.8” paper chips formulated using lacquer stripe coating. The latest edition of this Pantone Colour Guide comprises of 210 new colours based on the current market trends. Including a total of 2,310 colours, the colours in Pantone TPG Guide are arranged in a chromatic format making it extremely easy to use. 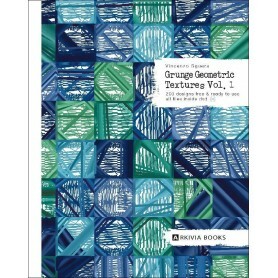 Each of the colours in this book is referenced using a corresponding name and number. This Pantone Guide for Textile is ideally designed to be used in textiles and apparels, fashion accessories, cosmetics, leather goods as well as ceramics. Inspired by nature, the Pantone FHIP110N is in line with the Pantone’s trends 2017 and comprises of colours which are bright and vivid exuding a sense of unmatched exuberance. Pantone Color Guide is widely used in Textile and Home / Interiors. Buy the Pantone Colour Guide now and get a special cover for the protection of the Pantone TPG Colour guide from dust and oil. All Colors are numerically referenced and arranged according to the index so that finding any color becomes easy. The formula for all colors is provided in the Pantone Colormanager provided with the Pantone Fashion Home Colour guide. There will be 2 guides in the box. If these colors are needed in Fabric / Cotton then TCX products have to be purchased. The Latest Pantone TPG Guide has the code FHIP110N and you may buy it now. The Pantone Textile color guide has helped designers in several fields and not just for Fashion & Home. The Pantone Color Guide is fan-shaped and is a reference guide for designers. However if manufacturers wish to share colours in their manufacturing units with the merchandisers, they should opt for the Pantone TPG Color Specifier & Guide Set which has the Pantone TPG Chips book from which Pantone TPG Colors can be removed and shared with different people. You must buy Pantone Color guides from its Authorised distributor - Design Info only. 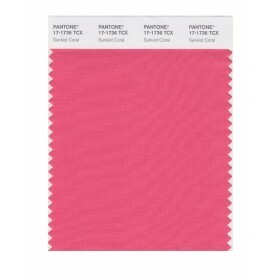 Buy Pantone Colour Guide and get a FREE Cover with the guide set. It has all the colors needed for textiles printing. Received the product in original packaging, with no marks howsoever. Dear Vidya, we appreciate your response. Well, I got the book on time and its sealed packed. I like the service. TPG is the updated edition of TPX. You may purchase TPG since it will have all the colors of TPX & 210 new additional colors. 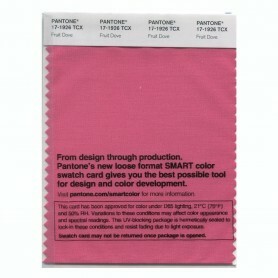 Dear Arvind, For regular Pantone usage, you are suggested to purchase the Pantone TPG Specifier + Guide Set. You shall receive the book in 24 to 48 hours. This guide has 2310 colors as for the latest 2017 edition. We would suggest a Pantone TCX book to work on fabrics. Sure, Sir, we shall send the quotation to you asap.